Picking my favorite gifting picture books is hard! After all, there are so many incredible ones to choose from. These are for any adult or child that needs a great read. Some are silly. Some are serious. All can be used in the classroom if you are a teacher like me who is obsessed with using picture books with your students. They are all gorgeous and will make your reading life better, guaranteed. A sweet story about the power of an imaginary friend and how having someone no one else can see can become a problem. 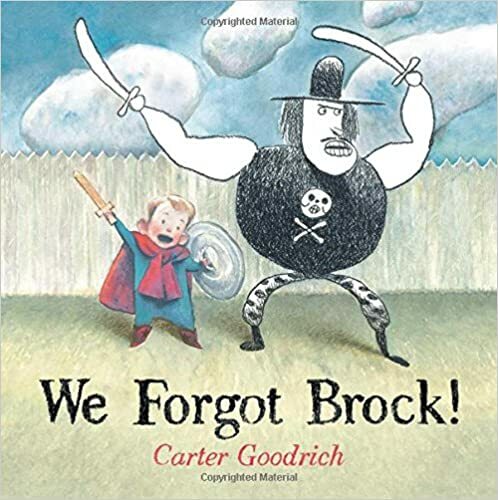 I love the book We Forgot Brock by Carter Goodrich because of the friendship it portrays. How can your imagination save the most boring story? 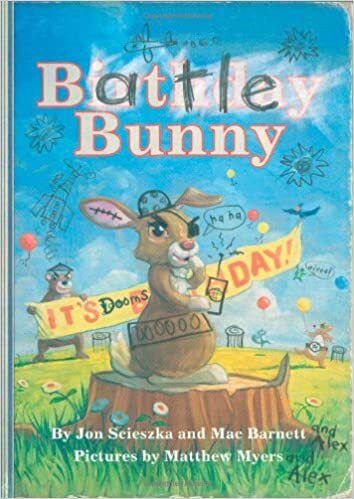 I love the message of Battle Bunny written by Jon Sciezka and Mac Barnett, illustrated by Matthew Myers. This book is guaranteed to make people smile. I have been a loud fan of Bob Shea’s for a long time. 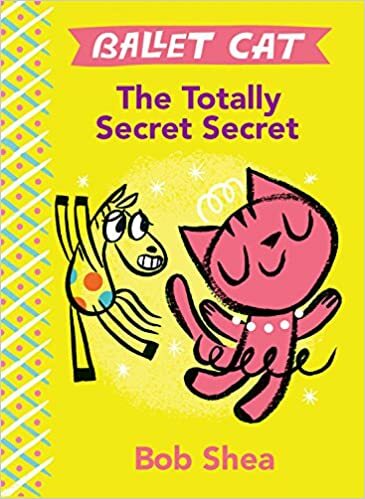 After all, he is the genius that wrote Unicorn Thinks He’s Pretty Great so I had to get Ballet Cat The Totally Secret Secret. It is laugh out loud funny. And the best part is that I can completely relate to the story and so can most people. 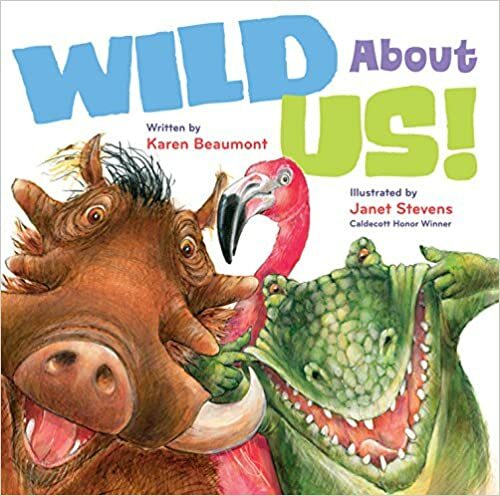 Wild About Us by Karen Beaumont is a beautiful book in many ways. The illustrations done by Janet Stevens pop off the page and catch your eye, but the message of the book is what really got me. We all have things that we can pick apart, but what we do with those things is what matters. Warty Warthog may have warts and tusks, but he likes himself that way! Join him as he celebrates all of his animal friends and the attributes that make each one unique. Whether it’s Crocodile’s toothy grin or Kangaroo’s huge feet or Leopard’s spottiness, each animal is different. Wouldn’t it be dull if all the animals at the zoo—and all the people in the world—looked alike? A joyful picture-book celebration of everything that makes us individuals! 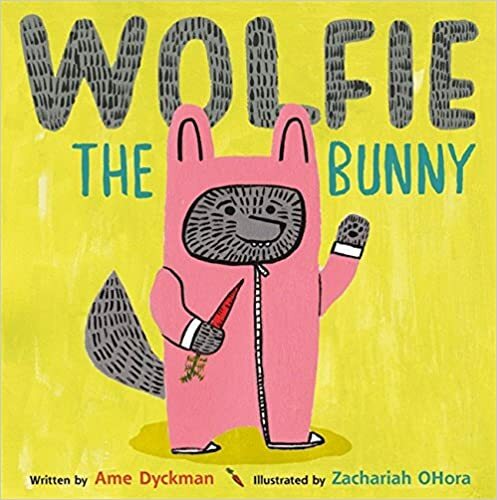 It is a celebration in my life whenever the talented Ame Dyckman comes out with a new picture book and Wolfie the Bunny was definitely a cause for celebration. This book about assumptions and what they can lead to has not only made my students laugh out loud, but more importantly, has led us to question our own assumptions about others. 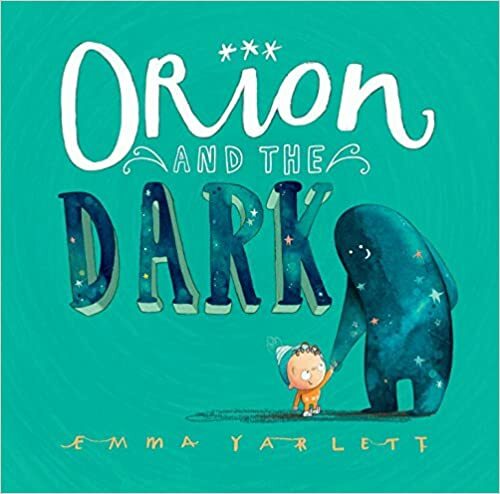 Orion and the Dark by Emma Yarlett is stunning. The story about a boy who is afraid of the dark is sure to elicit conversations about our fears and what we can do to conquer them. This is a book my students keep reaching for in the classroom and that I have used with my own children as they tell me they are afraid of the dark. 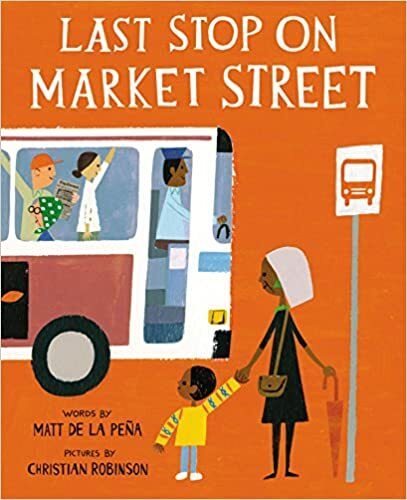 The beautiful story of Last Stop On Market Street by Matt De La Pena is one meant to spur conversation about our lives, our assumptions, and how we view the world. But the illustrations? They tell an even richer story, one that I cannot wait to discuss with my students and my own kids, many of whom have never ridden a bus or even been in an urban neighborhood. 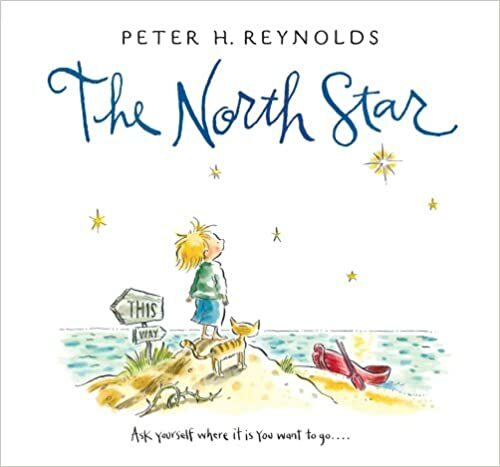 The North Star by Peter H. Reynolds is one of my favorite picture books ever written. This is the final book I read to my students every year as I hope it inspires them to take a risk and find their own path in life. It is often said that life is a journey, and it’s true. But sometimes it’s hard to know which path to follow when signs point in so many directions. In this beautifully illustrated book, Peter H. Reynolds once again encourages readers to observe, to wonder, and to consider diverging from the well-worn path — to pursue their dreams. Originally published more than ten years ago, THE NORTH STAR has had a profound effect on its many readers. This edition, featuring all new art, celebrates the book’s own voyage connecting people around the world. It has inspired classroom activities, a musical, and countless thoughtful journeys. 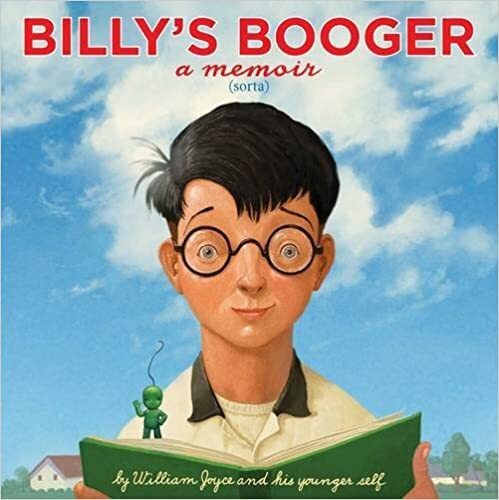 I love Billy’s Booger – A Memoir by William Joyce for many reasons; the narrative is great, it is great as a teaching book on story arc, and it has boogers in the title, which is sure to hook many readers. 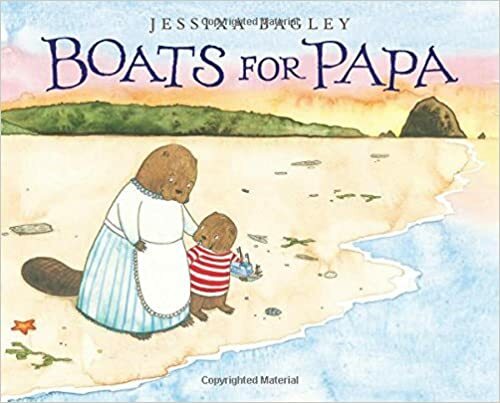 Boats for Papa is a picture book by Jessixa Bagley that I immediately fell in love with. The story does not tell us where papa is, nor why the mother does what she does, and yet every child (or adult) that reads it seems to come up with their own story. An inspired story that leaves us thinking. each one more beautiful than the last, and sends them out to sea. If they don’t come back, he knows they’ve found their way to his papa, whom he misses very much. This amusing story of what really happened to a sandwich creates pretty funny conversations with kids. 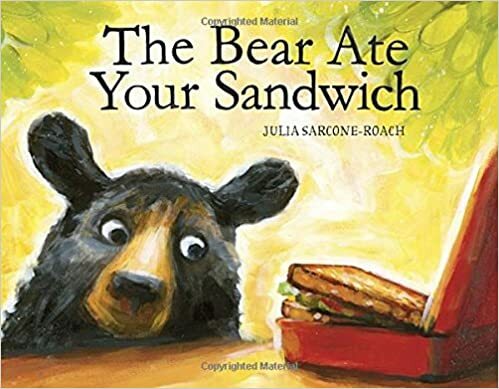 The Bear Ate Your Sandwich by Julia Sarcone-Beach is one that makes me giggle every time I read it aloud and then leads to heated discussions of what exactly did happen to that sandwich? 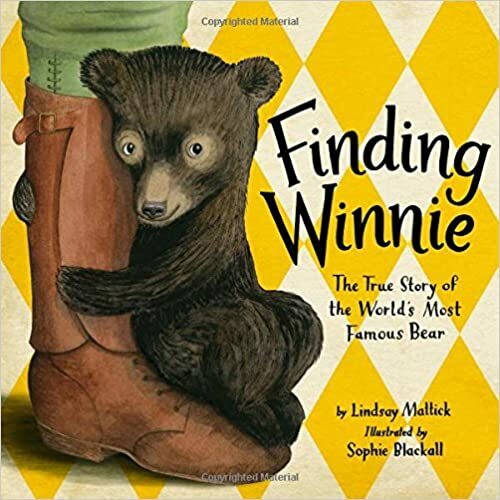 Finding Winnie by Lindsay Mattick and illustrated by Sophie Blackall made me cry, which even surprised me. I grew up aware of Winnie the Pooh but not immersed in the world as many others, and the tale of the inspiration behind the stories really struck a chord with me, as I suspect it will for many others. 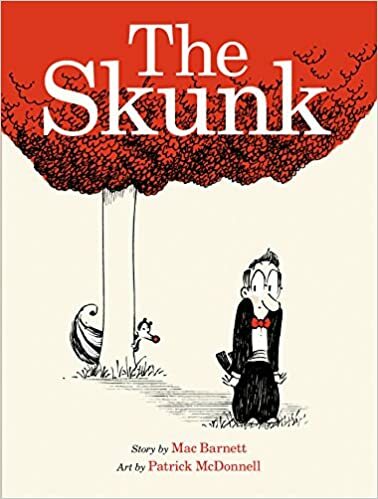 Another book that is great for deeper level conversations as students try to decide why that skunk keeps following the main character. My own kids were mesmerized by the story, which says a lot considering they are hardly ever sit still. I have many of Mac Barnett’s and Patrick McDonnell’s book and love having The Skunk as well. When a skunk first appears in the tuxedoed man’s doorway, it’s a strange but possibly harmless occurrence. But then the man finds the skunk following him, and the unlikely pair embark on an increasingly frantic chase through the city, from the streets to the opera house to the fairground. What does the skunk want? It’s not clear―but soon the man has bought a new house in a new neighborhood to escape the little creature’s attention, only to find himself missing something. . .
Shhh! 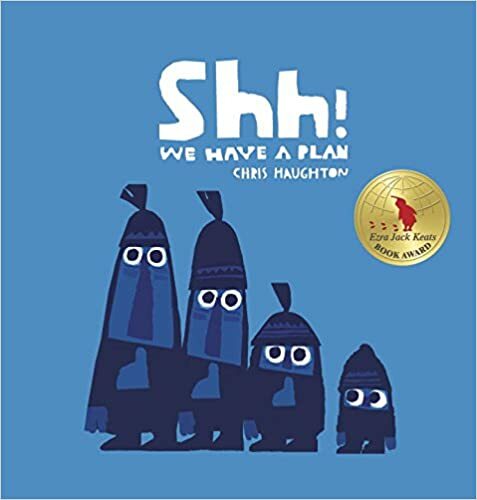 We Have a Plan by Chris Haughton has been read in my house countless times, preferably repeatedly. Every time my kids laugh out loud and then tell me what is going to happen. The funny thing is the same thing happened in my classroom. Just seeing the image of the cover of I’m Trying to Love Spiders by Bethany Barton makes me laugh. 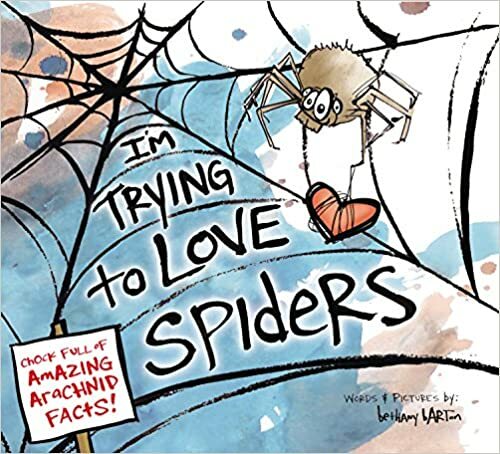 This incredible non-fiction picture book that doesn’t scream non-fiction (not that there is anything wrong with non-fiction) is the perfect gift for the person who hates spiders. 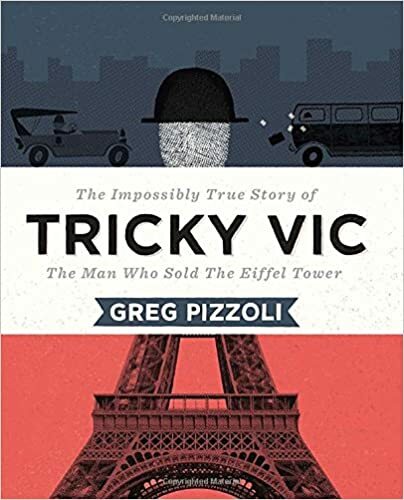 For all you history lovers Tricky Vic – the Man Who Sold the Eiffel Tower by Greg Pizzoli is a masterpiece. A page-turning read that makes you shake your head in wonder. This is a picture book for all ages. 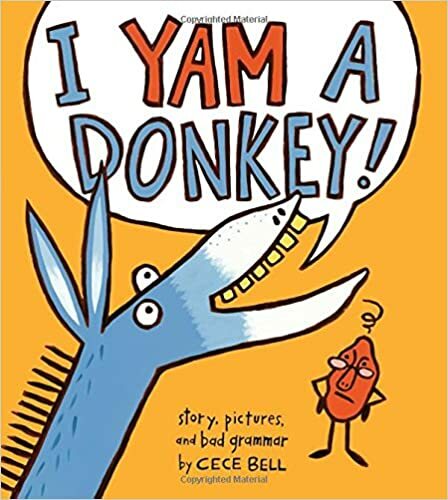 I Yam A Donkey by the incredible CeCe Bell. Why this book? Because it is laugh out loud funny while teaching grammar. My 23 month old picks this book up every day asking us to read about the donkey. Even frustrated grammarians will giggle at the who’s-on-first routine that begins with a donkey’s excited announcement, “I yam a donkey!” Unfortunately the donkey’s audience happens to be a yam, and one who is particular about sloppy pronunciation and poor grammar. An escalating series of misunderstandings leaves the yam furious and the clueless donkey bewildered by the yam’s growing (and amusing) frustration. The yam finally gets his point across, but regrettably, he’s made the situation a little bit too clear . . . and the story ends with a dark and outrageously funny twist. 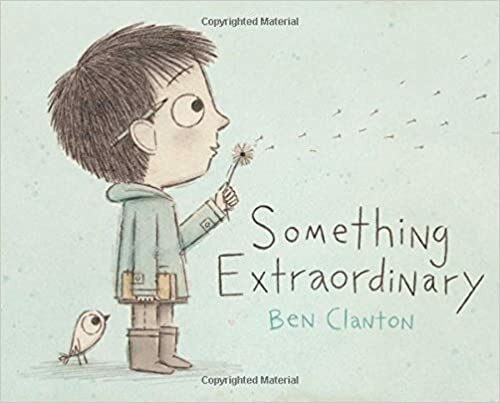 Ben Clanton’s Something Extraordinary is just that – extraordinary. Once again a simple story unfolds leading us to rich conversations about imagination and how it can color our world. 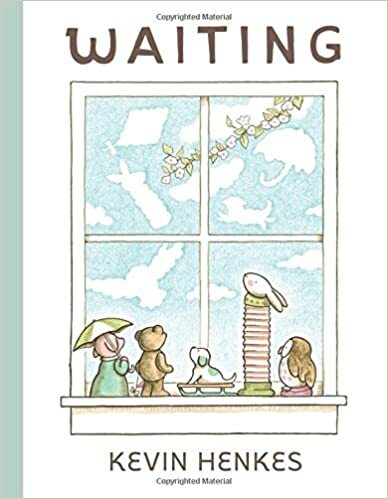 Waiting by Kevin Henkes is a quiet masterpiece that kids of all ages can realte to. What I loved the most were the different reactions my children had to the book and how they kept reaching for it over and over. 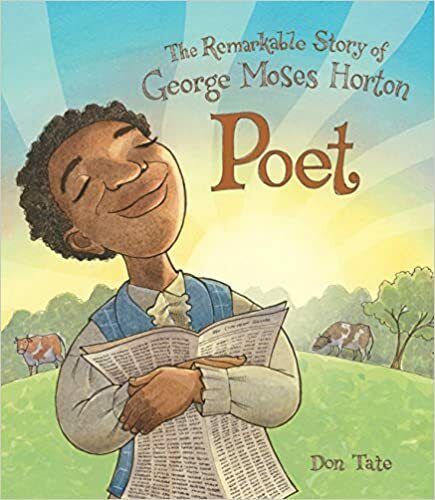 The incredible story of the first enslaved poet, George Moses Horton, unfolds in this picture book by Don Tate. Illustrating a piece of history I had never encountered Poet: The Remarkable Story of George Moses Horton is a must add for anyone that loves poetry. 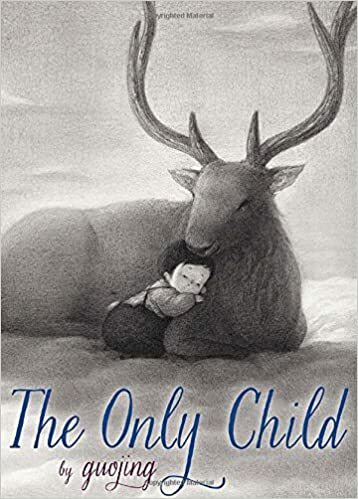 The Only Child by Guojing is a wordless picture book that will leave you speechless. Beautiful. Mesmerizing and one that you want to read multiple times. If you have not discovered the brilliance of the Crayons series then this is a great way to start. 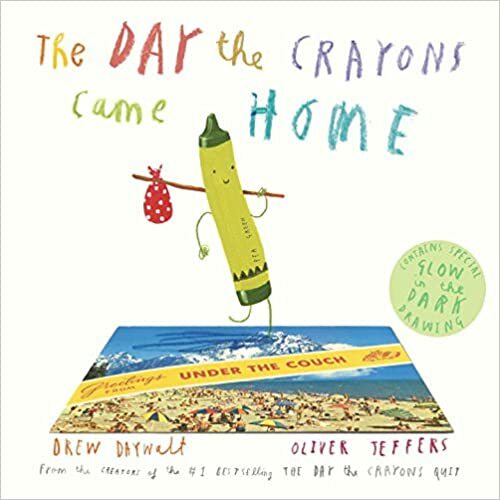 The Day the Crayons Came Home by Drew Daywalt and illustrated by Oliver Jeffers is great for home and the classroom, with its beautiful illustrations and laugh out loud crayon stories, this will surely be read many times. 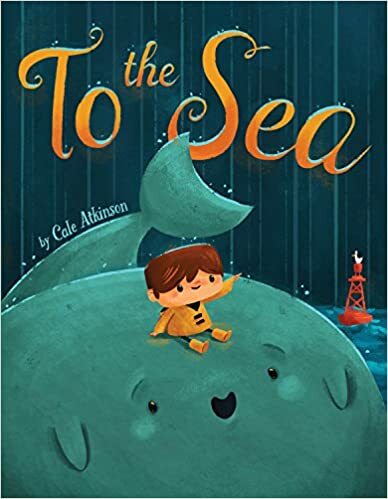 To the Sea by Cale Atkinson is a beautiful tale of a young boy who feels lonely. When he meets a lost whale his life changes. Simple, deep, and powerful. Sometimes Tim feels invisible at school—until one day, when Tim meets Sam. But Sam isn’t just any new friend: he’s a blue whale, and he can’t find his way home! Returning Sam to the sea is hard work, but Tim is determined to help. After all, it’s not every day you meet a new friend! Awake Beautiful Child by Amy Krouse Rosenthal and illustrated by Gracia Lam should be a mandatory baby gift. As the mother of 4 myself, this left me thinking just how lucky I am. 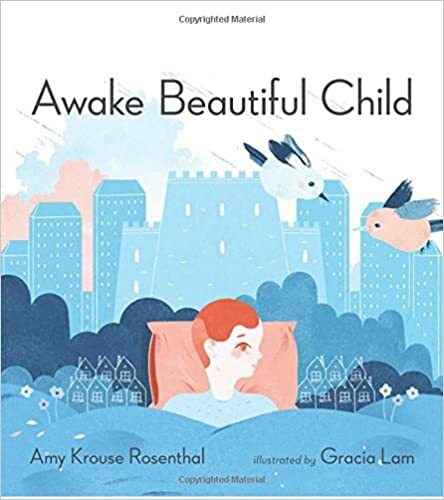 New York Times best-selling picture-book author Amy Krouse Rosenthal teams with award-winning artist Gracia Lam to tell the sweet, simple story of a young child’s typical day—from morning to bedtime. Like the title, each scene is described in three-word “ABC” phrases, such as “All Begins Cheerily” and “Always Be Curious.” Secret “ABC” scenes hidden throughout the artwork—as a secondary “seek and find” game of sorts—encourage multiple readings and reward close-looking. So which books did I miss? Which picture books will you be giving to the picture book lovers in your life? Don’t miss the post on which YA books to give this year as well. Bookshare, online accessible library, has many of these titles for children with print disabilities. Membership is free for U.S. students who qualify.